The twin topics of politics and religion have great potential for disrupting families. While interfaith families can be challenging, political differences are just as likely to create family rifts. Since faith and politics are often intertwined, challenging a person's politics may mean challenging his or her religion as well. When grandparents and their children disagree about politics, they risk family estrangement, which could result in a loss of contact with grandchildren. No matter how strong your political principles, nothing is worth losing that precious bond. Here's how to avoid letting politics tear your family apart. Since, for better or worse, political decisions have a huge impact on our lives, they are worthy of discussion. A world in which we never discuss politics for fear of hurting someone's feelings would be a dysfunctional world indeed. But occasionally, when it's obvious that two opposing sides will never meet, it's appropriate to declare a moratorium on political discussion. In these cases, the parties involved should look for items of shared interest that aren't too closely tied to political issues. You should be able to discuss the best way to cook a steak or grow tomatoes without too much conflict. But if you can't discuss your interest in organic gardening without getting political, look for another subject. If you choose to talk politics, these strategies will increase your chances of a civil discussion. Open your mind to what the other party is saying. If you can't pull this one off, don't bother to talk at all. If your mind is so busy shaping what you are going to say next, you aren't really listening. The other person has reasons for his or her beliefs. Be honestly interested in learning what they are. One good strategy is to rephrase what you think you are hearing. This technique forces you to really listen. But you must be willing to rephrase without putting your own spin on what you have heard. Use humor wisely. It can be a lifesaver to inject a little levity into the discussion but reject snarky or partisan humor. Many times political situations have some inherent humor that, if recognized, can relax the mood. Stay calm. If you can't keep your voice down and your tone civil, it's time to exit the conversation. If either party has been drinking, find another time and place for the discussion. Alcohol-fueled debates have a lethal ability to damage relationships. Control your body language. Don't lean in or invade the other person's space. Beware of physically trapping people. There are sound reasons why we don't like being cornered. Don't assume hostile postures. Some experts say that body language accounts for at least half of all communication. Be aware of yours. How to exit. Many people choose to end conversations with statements such as, "We'll just have to agree to disagree." Such seemingly innocuous statements, however, can be harmful, especially if other parties feel that they've been cut off without having their say. It's much better to say, "You've given me something to think about. Let's talk about something else and come back to this at another time." One of the best ways to create a family rift is to proselytize the grandchildren whenever you get them in private. This is most dangerous when your grandchildren are school-age. During those formative years, the parents have the right to control the forces that influence their development to the extent that such forces can be controlled. Resist the temptation to bring up political topics with your grandchildren. If a grandchild initiates the discussion, how you should respond is dictated by your particular family circumstances. 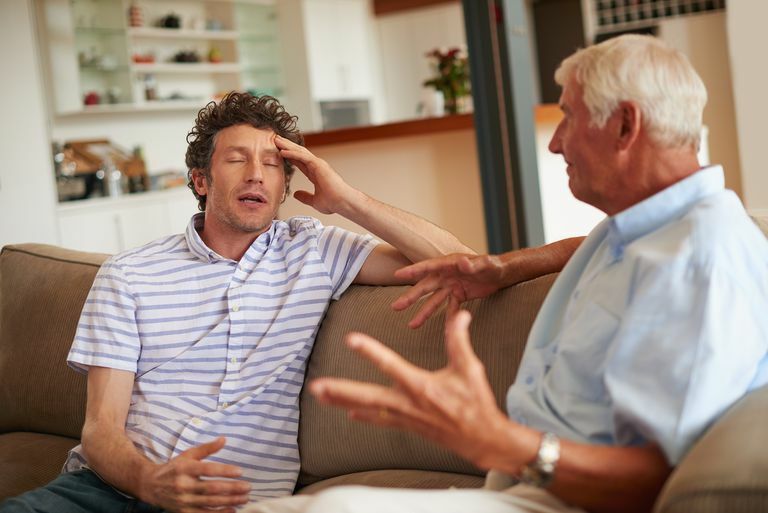 If the disagreement in your family is particularly volatile, you should resist responding at all. If your family is a little more open to discussion, it's okay to answer the question, but be certain to preface your response with a disclaimer that many other people that you love would not agree with your viewpoint. And always be aware that children may not be sophisticated enough to report your carefully modulated response accurately. There is always the danger that what you said will be misreported or misunderstood. Holidays are an especially treacherous time for some families. However joyful they should be, holidays are ripe for conflict. Holiday celebrations involve a lot of planning and work, and that puts some people on edge. In addition, alcohol is a part of many such celebrations. Political discussions are, generally speaking, not good dinner table conversations. Besides the obvious risk of conflict, some at the table may be uninterested in politics. Also, such discussions frequently are dominated by one or two persons, and that's not much fun for the others. The combination of food and political conversation can be immensely enjoyable when those present share basic beliefs, or when everyone present has the ability to enjoy a spirited debate without getting emotional. Often neither is the case. If your family gatherings include individuals who are not part of your immediate family circle, they may have radically different outlooks from those that prevail inside your family. Of course, radical differences can occur inside any family, but they are somewhat more likely outside the nuclear family. If, for example, the other grandparents will be in attendance, political topics can be a landmine. Sometimes we assume that we know the political leanings of others, and they can turn out to be completely different from what we assumed. If you offend the parents of your daughter-in-law or son-in-law, the repercussions can be severe and long-lasting, so proceed with care. Recent years have brought us new ways to disagree about politics: on social media. The ability of such sites to generate conflict can hardly be overstated, as it is easy to dash off posts without thinking them through and post links without thoroughly checking them out. Facebook is the site with the most potential for damage since it is the most widely used. Also, many of us have very large and diverse "friend" bases, which means that anything we post is likely to offend someone. If it's just an acquaintance or a friend of a friend, that's no big deal. If it is a family member, it may be a big deal indeed. That's why getting too political is a big Facebook no-no for grandparents. To avoid escalating conflict on social media, avoid posting or commenting at times when you are too emotional or too stressed. It's possible to create a Facebook post and save it as a draft to be posted later. That's probably a good strategy for almost any political post. Unfortunately, it doesn't work for comments, which can get you in just as much hot water as posts you make yourself. You can also work with your Facebook privacy settings to control who can see your posts. It's a wonderful thing to have political persuasions. It means you care and that you have avoided the trap of apathy. If your passions mean that you have offended someone, try a heartfelt apology and move on. But loving and caring for others means loving yourself, too, and owning your value system and beliefs. If you feel that your political views are such an integral part of your being that you can never modulate them or apologize for them, go for it. But you may lose some friends and family members, so be willing to pay the price. If you research the lives of political movers and shakers, you will learn that their activism did cost most of them some of their personal relationships. And here's one final point. We need to translate our political standards into personal action. If you believe that our laws are perpetrating social injustice, work for better laws. If you believe that social ills are better addressed through private charities, choose one and make a meaningful donation of time or money. By living your beliefs, you'll be more likely to influence others than you will be by "winning" a political argument. When families are damaged, no one wins. What Do You Do When Parents Disagree on Discipline Strategies?